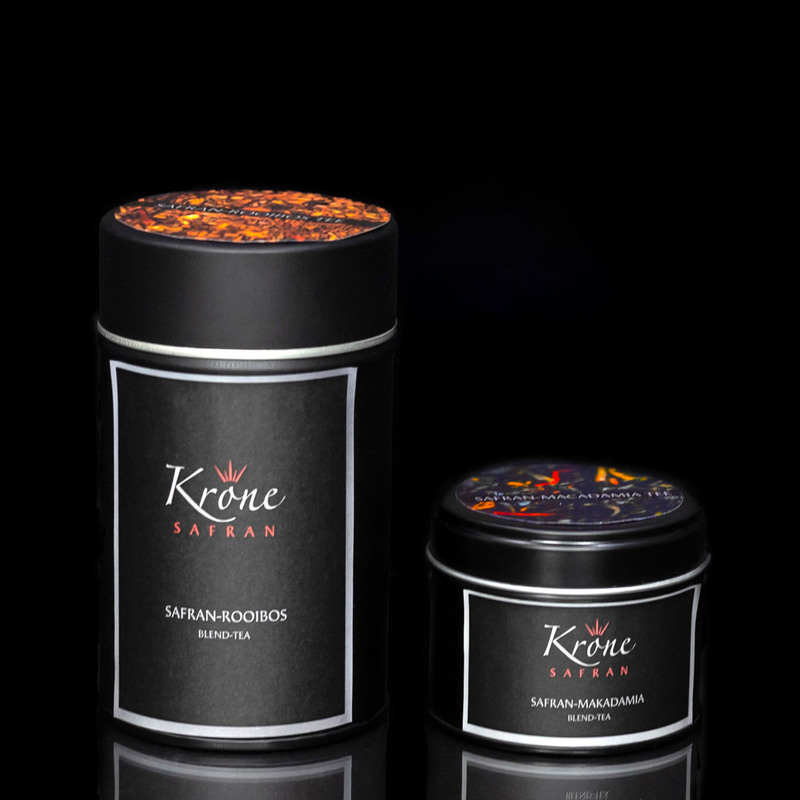 Let us introduce a phenomenal mix of the highest quality of the Negin saffron sublimated with premium tea. Our refined selection utilises the synergy of both components, thereby enforcing their therapeutic properties, such as antidepressant, blood circulation, digestive disorders, pain relief, helps with dieting, and many more. With its exotic and seductive flavour, royal tea deserves the exclusive time its needs to become refined. Let the tea steep for 6 minutes. By adding coconut milk, you can achieve a richer flavour. You can add a pinch of saffron as a final refinement. Try to enjoy saffron tea cold, too. The iced tea version also allows other ingredients, e.g. honey and lemon. A special flavour composition: a soft, fresh-fruity flavour. The sweet tangerine aftertaste comes from the notes of our saffron, which your taste buds will adore. A refined and yet exclusive product. Blend tea with a double lid in a metal box to preserve the special and rich aroma.